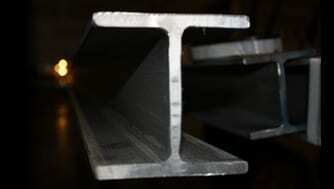 Stainless Steel I Beams Supplier - Hot Rolled I Beams | Stainless Shapes, Inc. Stainless Shapes Specializes in Stainless Steel Beams with the largest inventory available! Stainless Shapes offers stainless beams. We have a wide selection of beams available to order, and all of our stainless are made to meet ASTM 276, ASTM A484, ASTM A479/A479M standards. Not sure what you’re looking for, contact us now for pricing and availability! To understand why stainless steel I beams, receive the names they do, we need to explain the dimensions of the beams briefly. The way the beams are designed is by welding flat pieces of metal atop the strong supportive center. The center is called the web because it keeps the two flat pieces (the flange) together. This allows both mobility and stability, especially in moving strain. Web: The web is the center of the beam and is usually graded by thickness. It is the connecting steel that maintains the beams integrity. It connects the two flanges together and helps disperse pressure. Flange: The top and flat bottom pieces of steel that receive the brunt of the force. The flanges are flattened and dissipate pressure equally. The two piece run parallel to each other and in the case of I-Beams, are winged. The most common beam in our inventory. The I-beams center web can only be rolled as much as a mill’s equipment can handle (5/8″). The I-Beam is lighter in weight which is why it is used so often. The I-Beam is also a solid piece of metal throughout. It is rolled and manufactured from one part. Can be hot-rolled or laser fused. Stainless Shapes is very knowledgeable when it comes to supplying I-beams feel free to call or e-mails us for more info. 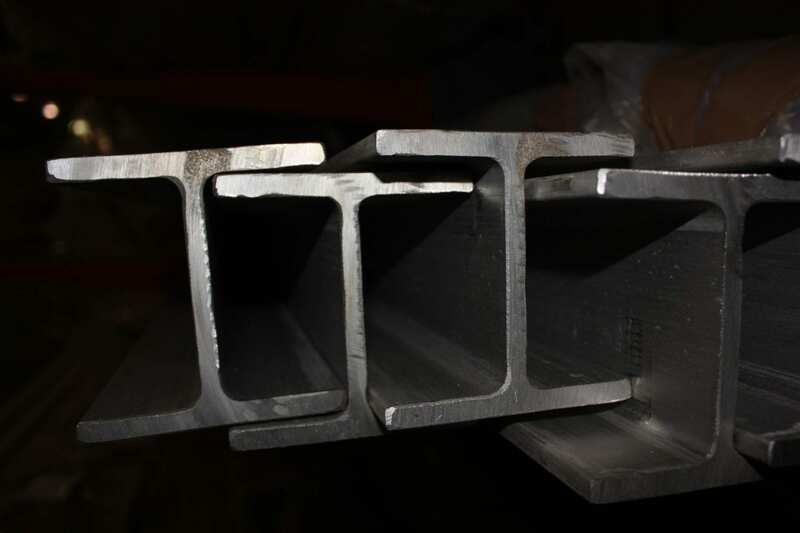 With 304 and 316 being the most common grade, I -Beams are becoming much more popular in the industry for their corrosion resistance, strength, and shaped like most steel profiles. The horizontal elements of the “I” are known as flanges, while the vertical element is termed the “web.” I-beams are usually made of 304, and 316 stainless steel other grades are and are most commonly used in construction and civil engineering projects. What makes Stainless Shapes different from other I-beam Suppliers? First of all, We have competitive prices, and we are always available to answer questions. With sales locations in Central and Eastern time zone. Second, we provide as many resources as possible for you to know what you will need for your projects. Between our specification pages, you can get most of your answers. If you have not found what you are looking for just ask and we will be more than happy to assist you! For a prompt and accurate quote on Stainless Steel I Beams, contact us today!